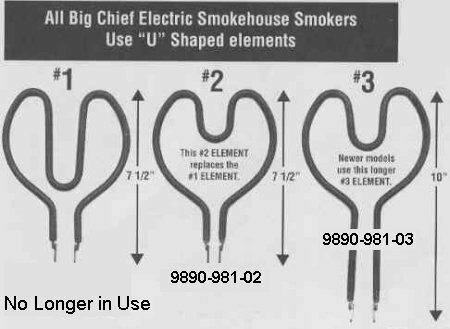 The heating element model used in the Big Chief Electric Smokers has changed over time. The elements in the Big Chief and the Little Chief are also different. If you need to replace your current heating element in your Big Chief electric smoker, you should do so with the exact same size and model that is current installed. To determine which size and model you need to order, it is best to carefully remove the current heating element (be sure the smoker is unplugged and off, and the element is cold to the touch) and measure its exact size to know which new one to order . 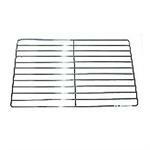 The #2 style replacement heating element is a "U" shaped element, and measures 7 1/2" long. Fits both Luhr Jensen and Smokehouse Products brand of Big Chief electric food smokers. Not for use with Little Chief Smokers!